How often have you heard of B2B lead generation? Have you given it much thought? Do you consider it a buzzword? Before we take a look at what business lead generation is and how you should be leveraging the tools at your disposal, let’s discuss what a lead is. A lead is someone who has shown interest in your service or product. So your lead is not yet a paying customer. He or she is interested, but you still need to reel them in. Today, people are online, mobile, and savvy. Wherever they are, they can surf the web. They’re likely to come across a melee of eBooks and slideshows and other content that they find useful and interesting. In exchange for the content that has piqued their interest, they will supply their personal information. It is through this digital transaction that a person becomes your lead. And it is this process that we refer to as online lead generation. In essence, if you want to generate leads, you have to entice people to exchange their information for your valuable digital content. Doesn’t that sound somewhat familiar? It is. That’s because generating leads has been a segment of inbound and outbound marketing for ages. In fact, it falls within the second phase of inbound marketing, referred to as the conversion of a site visitor to a lead. So, why exactly is generating leads so important? Think of it like this: a lead generator collects valuable information. Incredibly useful information, such as a site visitor’s name and email address. How does your business get this information? By enticing site visitors to subscribe to your email list or RSS feed, filling out forms in exchange for downloading valuable content, or sharing their information in exchange for a discount coupon. Once site visitors have provided this contact data, it is up to a B2B lead generation agency to use the information to nurture a lead. So, instead of taking a shot in the dark, businesses who already use the contact data are a step ahead. According to research, today’s businesses find as much as 60 percent of their leads online and those leads are twice as profitable than traditional lead generation methods. Together with higher conversion rates, lead generation strategies can be a cost-effective solution for companies since it focuses on aligning your marketing and sales teams, leaving no room for communication errors. Better yet, you can outsource to an experienced and knowledgeable B2B lead generation agency who will do it all for you. But, what lead generation strategies could you start implementing right now to start garnering leads, turning them into paying customers, and, essentially, increasing your bottom line? Here are 10 effective strategies you can apply to your marketing model immediately. Strategy 1: Relationships and Social Media, Are You Doing It Right? Social media is a powerful lead generation tool. But, is your business using it the right way? Are you building trusted relationships and hanging out where your leads are hanging out, whichever platforms those may be? We all know that social media marketing continues to soar, and most B2B marketers know how crucial it is to have a social media presence in order to enhance your web presence. Yet, there are many B2B marketers out there who still struggle to execute their social media strategy as part of their lead generation marketing. While the B2B space has been a little slower than others to adopt to social media, we have noticed a gradual growth in the number of companies using social media as a lead generator. In a benchmark study, the Content Marketing Institute discovered that social media has grown to become the most widely used tactic for promoting content. Today, the majority of B2B companies are using social media channels as part of their marketing strategies and, on average, they are using up to six social media platforms. As a B2B lead generation agency, we have found the budgets for inbound marketing are on the rise. The growth in the importance of social media seems to reflect the expansion in platforms, changes to the buying process, better tracking of ROI, and the advent of marketing automation. We all know that people are more likely to do business with people they trust, and to build that trust, you need to be hanging out where your leads are and interacting. But, just how can you use social media to leverage your lead generation methods? Gated content is content that requires you to go through a certain process, usually requiring leads to supply contact data. The easiest way to do this on social media is to promote a piece of content across your platforms – whether it is a lengthy blog post, a webinar, white paper – when people click on the link, they are directed to your landing page. This is the gate. They need to provide information before gaining access to the content. Competitions are an effortless way to engage potential leads and gather B2B email data. The trick is to make the incentive something that relates to your actual service or product. Social media competitions should focus on samples of what you would offer paying clients. For instance, a free trial of your product, or an upgrade to a higher tier of your offering. People who enter a competition on social media are more likely to have a genuine interest in your offering. Social media advertising has become a hot lead generator and is especially valuable owing to its advanced targeting chances. In fact, social media ads can break down audiences to help you effectively target your intended market so you can share content with people who fit the mold of a prospective customer. Anyone who clicks on your ads can be tagged as a lead. Another great tactic you can use is targeted listening. This can involve anything from actively participating in LinkedIn and Facebook groups to creating Twitter search streams. While this strategy isn’t going to gather much information compared to some other lead generator tactics, it can put you in direct contact with potential customers and offer insight into what they think about your business, your industry, and your competitors. Personal education is an effective lead generation strategy. That is, are you educating your prospects? Are you showing them what you have to offer? Are you teaching them why your offering is the best? You’ve probably attended a few webinars, but have you ever hosted any? It doesn’t matter what industry you are in, webinars are powerful lead generation methods and an essential part of customer retention. Webinar marketing gives you the opportunity to lend authority to all other content by giving it a voice and packing it into a format people enjoy. It’s also the perfect chance to showcase your personality and create trust and credibility. An informed lead is going to become an engaged lead. Webinars are the perfect way to educate prospects as they take advantage of all sorts of learning styles, allowing viewers to take notes at their own pace. A webinar should be content-rich and considered a master class. It should not be an infomercial. Your goal is to inform, not advertise. Lead generation marketing is about expanding into new markets. While people may not be familiar with your business, they could have an interest in your webinar topic. Google thrives on multimedia, often ranking it above other forms of content so a webinar will appear when potential leads search for more information on your industry, business, and offering. These are the valuable organic leads who are actively seeking a solution to a problem. Evergreen content is content that goes the distance; it doesn’t go out of style. It’s ideal for webinars as you can offer them time and again. Once you have recorded a webinar, you can load it on Vimeo and YouTube to expand your online lead generation. Once you have published your webinar, you need to nurture those new leads with further content. Which brings us to the third strategy. Where do your campaign investments provide the greatest value? Inbound strategies such as content marketing and social media marketing are strong channels and need to be maximized. Beyond that, though, inbound tactics should be supplemented with outbound tactics if you want to create maintainable demand and growth. In other words, you have to diversify your lead generation marketing if you want to maximize your results. Inbound marketing is what we are talking about in this article. It’s all about an approach, or strategy, rather than a list of tactics. At its core, it’s about attracting leads to your business, rather than going out to find customers. Modern business to business lead generation uses organic search traffic, content publication, and opt-in emails to attract customers. Outbound marketing involves the most traditional forms of marketing, like cold calling, emails, and sales copy. As an agency who offers B2B lead generation services, mainly focused on inbound marketing, some people are of the opinion that we are opposed to outbound marketing; and that’s not true. In fact, there is space to supplement inbound tactics for outbound tactics. In each of these instances, there are good reasons to buy a list, however, only do so if you have amazing content aimed at the audience you are trying to reach. The whole idea of lead generation methods is to get people to click through to the site and convert them on an offer. Here’s another pointer: when buying lists, smaller is always better. If you buy a massive list, you risk getting a high number of people marking your email as Spam, which results in your domain getting blacklisted and your email marketing provider very possibly shutting down your account. Stick to lists of under 1,000 contacts and practice good business sense with your B2B lead generation. CTA’s – a call-to-action is the most important part of your blog is you are blogging as part of your lead generation strategies. It compels readers to act. You need CTA’s on your landing pages and in your social media ads. But, you need them in your blog posts, too. Exclusive offerings – don’t be afraid to tease readers with exclusive content in exchange for their contact data. The key is to provide value in your daily posts and then go further in depth with your “member-only” content. Offer perks – if you own an e-commerce site, you can generate leads by providing blog readers the opportunity to purchase something at a discounted rate. For instance, if a lead signs up for your newsletter or books their spot for your next webinar, take it a step further and send them deals via text message so that they never have to miss out on your deals. 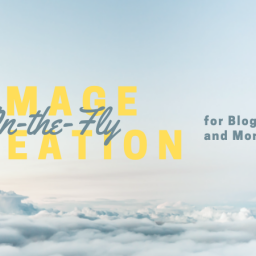 Margin banners – the margin banners are a staple for blogs. They’re usually in the sidebar with a CTA to get readers to sign up or download something. It’s one of the most well-used lead generation methods, and you should take advantage of it. Reach out to your influencers – find influencers in your industry and engage them. Make yourself known to them. The more you “Like” and retweet their content and comment on their posts, the more they will begin to recognize your logo or photo. When you’re ready, reach out to them in a way no one else is to invite them to guest blog for you and vice versa. Use time-delay pop-ups – how many times have you clicked on a post to have a pop-up jump out and insist you join the mailing list or download a report? If you’re not leveraging this tactic for your business lead generation, it’s time to start. There is a skill to blogging for lead generation. Get it right and you could be generating leads in no time at all. You will need to ensure your content is well optimized, too. Which brings us to strategy 5. A website that is well optimized can convert a relatively high percentage of visitors. Even the most aesthetically unappealing sites can convert visitors if they are properly optimized. Is your site getting it right? While Search Engine Optimization has been known to get a bad rap because of the unscrupulous techniques some marketers implement, it is a primary part of lead generation strategies used by the top B2B lead generation marketers. That’s because good rankings in the search results equal higher visibility for landing pages and websites, which in turn generates a favorable number of leads. It is important to note that SEO is no longer only about ranking for those high-traffic keywords. SEO has evolved into a more wholesome package that incorporates search engine marketing, content, and social marketing. If you want to optimize your website conversions for B2B demand generation effectively, you should create a list of targeted search items via keyword research and analysis and then make use of attention-grabbing keyword-based titles. Meta tags are an important part of your strategy for click-through rates, and you should also strategically inject selected keywords into your web pages. Professional lead generation services can help you with this process, as well as submitting sitemaps so that search engines will be able to index your website easier. Did you know that most visitors probably won’t return to your website if you don’t capture at least some information from them? The best thing a lead generation marketer can ask for is B2B email data. However, not all visitors are willing to give up their personal information which is why call-to-action buttons such as “Sign Up Today” have almost become synonymous with “get ready for spam, dear visitor!” So, marketers have to find new ways to generate leads. Let’s consider the first point. Years ago, an email opt-in box was somewhat of a luxury. It would result in all the information you could want delivered right to your armchair. Those days are gone. 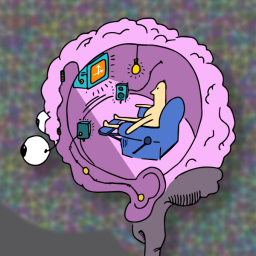 Today, we find ourselves fending off myriads of information from every angle. Somewhere between cleaning up spam folders and installing pop-up blockers, we promised to never “sign up” again. Now, marketers need to start breaking down those walls by using new opt-in methods that are mutually beneficial to acquire contact data. The best method? Give before you ask. The goal of a lead magnet is to receive permission from your visitors to follow up with them. Offering free-of-charge educational tools gives visitors confidence in your offerings and allows you to educate them and obtain their contact details. If you’re not offering any of these, it’s time to reconsider. We discussed in strategy three how email marketing has stood the test of time. It’s where you can get right into your lead’s personal space, and if you have the right offering, you’ll have them clicking over to your landing page or website in no time at all. We’ve already discussed lists, but what about content and engagement? It is no longer good enough to land in your prospect’s inbox each week or month with a boring newsletter. If you want to generate leads, you have to engage with them with the right content and at the right time. This is easier to accomplish with marketing automation software. Such tools allow you to get to the heart of your prospect’s needs. For instance, someone who wants to download free content as opposed to someone who has been sitting on your list for some time waiting for their “right time” to buy your product., You can then offer content that targets specific buyers. By personalizing information and delivering it to your prospects quickly, you can create a memorable user experience and give them the push they need to act. Personalized experiences are shown to convert more leads into qualified and educated prospects who are ready to spend money with you. It may be overused, clichÃ©d, and just plain predictable, but content remains King. In fact, content is your building blocks for B2B lead generation. This comprises the tools you use to generate traffic, including your SEO tactics, your blog, your webinars, and your social media platforms. Marketers tend to agree that the demand for content creation has increased dramatically and continues to do so. Creating unique, educational, and captivating content is the crucial point to establishing yourself as the go-to business leader in your industry. We live in a world that consumes vast amounts of content daily, so it’s kind of surprising that that “only 30% of B2B marketers said their organizations are effective at content marketing”. More than half (55%) of B2B marketers aren’t even sure what constitutes content marketing success. This leads to missed opportunities for leads and conversions. Hence, it is important to create content that has a specified objective and serves a distinct purpose. Otherwise, it is just content and not content marketing. Your words need to reel your leads in if content is to be a successful lead generator for your business. Speaking of which, are your engaging influencers? Are you tapping into other people’s audiences? The lead generation potential is massive. We briefly touched on the importance of influencers in strategy 4. Getting influencers in your industry to review your products or services could lead to potentially massive lead generation. The thinking process goes like this: by building relationships with influencers in your marketplace, you can tap into their audience and serve them with value. But, here’s where marketers seem to miss the mark: they don’t realize that every relationship needs to be built on a win-win-win situation. The benefits for you and your business should be clear, but those benefits also need to make sense to your influencers and their audience. The easiest way to execute a successful influencer marketing plan to generate leads is to start by setting goals. As with any lead generation marketing endeavors, you need a plan; or a strategy that will keep you on the right track. This means you need to create clear goals that define why you want to tap into influencers and will help with making a stronger business case. So, what exactly can you accomplish by tapping into influencers in your industry? And what objectives should you set for your strategy? Firstly, influencer marketing is undoubtedly the holy grail of business lead generation efforts. With lead generation as a goal, you have to make sure that the path of your influencer’s audiences will eventually lead to this (online lead generation). For instance, if you build a relationship with fifteen influencers who have strong social media followings, how can you serve their audience on, say, Twitter while driving your B2B lead generation efforts? You may want to use your influencers as distribution channels for your valuable content. Co-creating a highly coveted piece of content with your influencer is mutually beneficial, too, as you can share audiences. Can you see how it is a win-win-win strategy? Here’s another wagon everyone’s jumping on, and there is no reason you should be missing out. Have you got a podcast? Does the word make you envision a long pod being cast out into a river? Then we’d better discuss how a podcast can result in successful lead generation. If you’re not using a podcast as a lead generator, it’s time to rethink your lead generation methods. The most successful podcasters in the world are making use of this tool as a powerful lead generator. If you have dabbled with podcasts but your B2B email data isn’t growing as quickly as you thought it would, you may need to consider what you are doing wrong. People listen to podcasts because audio is convenient. It’s far easier than other opt-in methods for individuals who are on the go. They are ideal for engaged list building. In fact, studies have shown that email subscribers who come from podcasts are far more likely to click on your emails and links and follow through on your call to action. It’s almost as though podcasts bring all of the above nine strategies together. It’s easy enough to create a podcast; it’s just as easy to get it wrong if your purpose is business lead generation. You cannot forget to include an opt-in form with your podcasts. If you don’t have one, put one up immediately. Another way to get it wrong is to over-complicated things. If you’re asking listeners to head over to your website to enter their email address in a form that’s located on the left of the website if they want to download something, it’s just too much. People tend to listen to podcasts when they’re on the move, in the gym, sitting in traffic – and now you’re asking them to stop what they’re doing to type in your web address and scroll around for a form, fill it in, click a buttonâ€¦ it’s a lot to do when they really just want to focus on listening to your podcast. More often than not, people listen to podcasts because they believe they will gain insight and value from them. So, a lead magnet, such as a landing page or specific call to action, that increases that value is more likely to get leads to opt in. Placing your podcast on a landing page that is responsive to mobile devices increases that likelihood further. The key is to make the URL direct just to the landing page. Consider mobile opt-in, too, which allows you to collect opt-ins via text message. For instance, a lead could text a word to your given number and then receive a call-to-action text requesting them to reply with their contact data. Once they do, they will be on your list. It’s that easy, and people don’t have to spend much time signing up. Don’t forget to make every offer enticing. Trash the weak calls to action like “support my show” or “share my podcast,” if you want decent lead generation results, give people something they actually want. Make it so enticing that they won’t think twice about what they’re doing because they won’t want to miss out on a single one of your offerings. If you have been trying and failing at lead generation, you need to start implementing some, if not all, of these strategies right now. The biggest challenge in business lead generation can be summed up in one word: leads. It all begins with your leads. Without them, there are no clients and no revenue. The second challenge is to plan lead generation strategies based on very little information. It can be tough determining what the best strategy is. And in today’s saturated online world of content, social media platforms, and even influencers – and with the SEO goalposts regularly shifting – it can be hard to remember that effective lead generation methods comprise an array of activities that have to be measured and tested to determine what is right for your business. 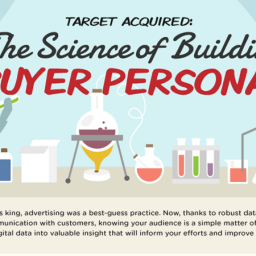 Before you can implement a strategy you need to concentrate on your customer’s buyer personas. By understanding these personas, you can better ensure that your marketing efforts are focused not on any customer, but the right customer. Implementing your strategies without a knowledgeable lead generation service can be daunting. The digital age has opened up so many channels, and different ways to generate leads and leveraging professional lead generation services can help your company take full advantage of all the opportunities the World Wide Web has to offer.